The Contour Unimouse Vertical Mouse is developed using 4 friction-based points that help you find the position that is most comfortable for you. You can easily alternate between different postures, allowing you to keep different muscles stimulated for lengthy periods of computer use. With a wide-ranging motion between 35 and 70 degrees, you will effortlessly be able to find a comfortable position for your hand to rest in. The Contour Unimouse uses an innovative Articulating Thumb Support that allows it to comfortably fit almost any hand size. 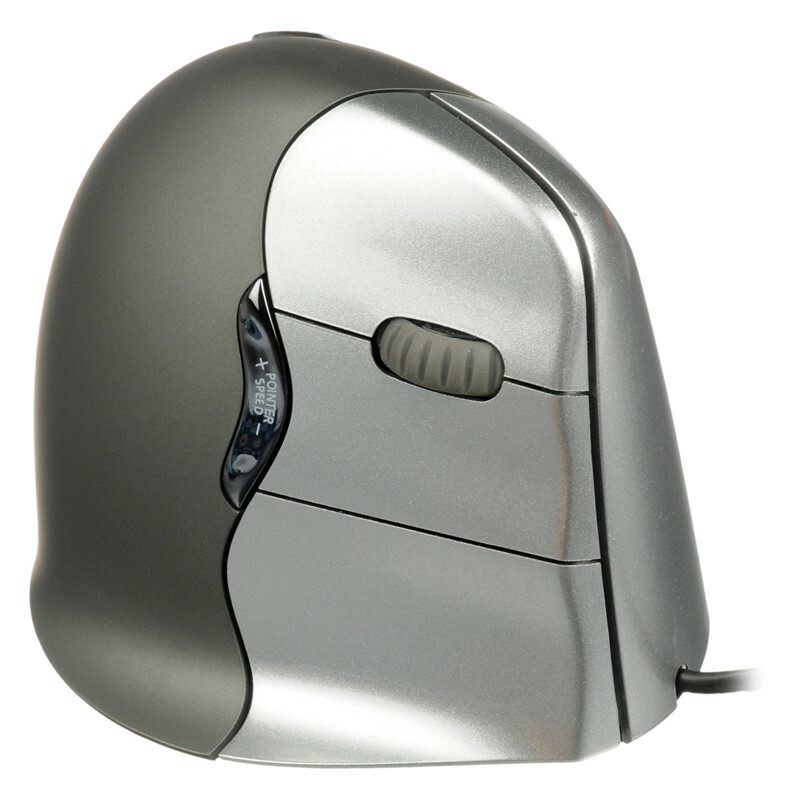 The Unimouse is perfect for designing, editing, coding and creating. This advanced wireless mouse puts you in complete control and delivers efficiency just like any other Contour product on the market. Available in both left or right handed and wired or wireless.